From time to time, something will crop up that gets the community into a heated debate over political stances. Whether that was a shirt that John wore somewhere, or a political event that John attended (hmm…John seems to be the only example here that I can think of…. ), it gets fans in an uproar. One thing I’ve noticed is that if a fan happens to agree with whatever is being said or supported, typically there’s no problem. It only seems to be an issue when you sit on the opposing side. Granted, I’m generalizing here, and I know it. (I did not stop to actually count opinions being presented verses the number of fans reading or actively participating. Shame on me!) That said, I don’t think anyone would disagree that it tends to create a discussion when one or more of them choose to be open with their political opinions. Then there are the times when the band has released new music and a faction of fans don’t care for the new direction, collaboration, theme, etc. Basically, I mean every single time something new has been released. I mean, let’s be open and honest about that, right? Imagine having both happen simultaneously. Can you envision the drama? A nightmare scenario indeed, yet, this is the very issue that fans of The Killers have been handling for the past couple of days. I’ve witnessed entire Facebook groups coming apart at the seams purely due to a single song and video. It has been both heartbreaking and eye opening on any number of levels. The Killers are hardly the first band to present a politically charged song or video, they are just among the more recent to do so. I myself am a fan of The Killers, and to the best of my recollection this is easily the most political song they’ve done. Even Duran Duran has written a political song or two – but they’ve done it with far more finesse and subtlety (I’m thinking “Edge of America” – both the song and the video that was released late last year, or even “Paper Gods” – which they themselves said was politically motivated, albeit far less obvious). Even so, I’ve seen grumblings about how the band should stick to what they do best. Having watched the video and listened to “Land of the Free” a number of times now, it isn’t hard to imagine why or how an entire fan community could be split. There’s no guesswork with the lyrics. They are strong and they are hurled directly in the faces of all Americans. They are a tough pill to swallow regardless of where you sit. It is not a pretty picture of America that is painted. As one of their fans aptly put it, “Art is meant to provoke. It is meant to be controversial, and it is meant to be discussed and debated.” This is true. Their music and video is indeed art, and if it sparks discussion, that should be OK. We find common ground and understanding through communication, not by sweeping the topic under the carpet. It is difficult to watch a fan community crumble over a single song. Comments range from dislike due to the song not sounding like it belongs in The Killers catalog to the topic of the song itself. On the opposite side there is joy and pride for bringing up a very difficult yet timely and necessary topic. Not many see that while this one song is rightfully controversial – it is only one song, and not the determining factor for where the band will head from here. It is easy to get so caught up in the details that you forget that The Killers are still a band. They’ll make more music. I have to wonder what we would do as a community if a similar song was released. I believe the demographics for Duran Duran are a bit *ahem* older. But are we wiser? Do we realize that their opinions have just as much “right” as ours? Would we agree with the sentiment? Would we be able to get past the details enough to find common ground? What is the purpose of a concert? Why do performers play concerts and go on tour? Is it simply to sell albums? To create fans? How many people go to concerts to see a band or an artist that they are not fans of? I suspect that most people don’t. Perhaps, a few might go see a band they aren’t fans of if the band is playing at a bar or club that a person just happens to be at. That said, I doubt there are many people are willing to pay $30, $50, $100 or more for someone they aren’t fans of. So, if most people go to concerts to see bands or artists they already like, what is the point? The audience gets to hear songs performed live, which is almost always a better way to hear music. Is that enough? For me, I like to go to concerts because I do like to hear music in its pure form but I also like to see whether or not my interest in a given artist grows, stays the same or lessens. This leads me to last Sunday. I drove to the nearby city of Milwaukee to see Brandon Flowers perform. The Killers is one of my favorite bands and, in fact, my like for that band increased each and every time I have seen them in concert. Yet, I wasn’t sure what I would think of Brandon solo. I have his albums, but the first one didn’t grab me at all for a long time whereas the second one caught more of my attention. Would seeing him live make me appreciate his solo work better? In this case, it absolutely did despite the physical discomfort I had from being hot (the venue did not have air conditioning!) and having no space from the general admission set-up. From the very first song, Brandon was 110% the entire time. Right away, Brandon was all smiles as he sang his heart out. It was clear that he was loving each and every minute and hoping to connect with his audience. He used all of the space on the stage to move around and to try to make eye contact with his fans. The fans were encouraged to join in frequently by singing parts of songs for and with him. I really appreciated the introductions to various songs. Sometimes, he told stories of how he came up with songs and other times asked the crowd questions. Of course, one thing that really enhanced the show was the rest of the band there supporting him. He had a horn player, a sax player, two backing vocalists, a drummer and multiple guitarists. Each and every one of them worked their asses off while still allowing Brandon the spotlight. So, did the show make me a bigger fan of Brandon’s music? Very much so! After the show, my friend and I decided to see if we could see Brandon come out the stage door. Not only did I think it would be cool to see Brandon (Duh!) 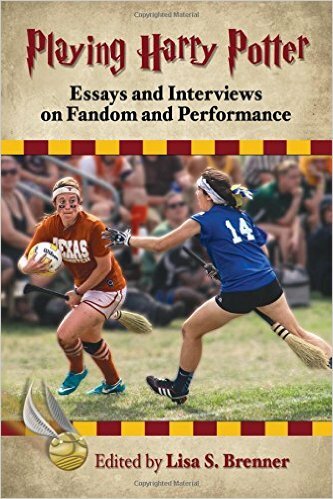 but as a student of fandom, I always like to observe fans in action! How would the fans be with Brandon? How would Brandon be with the fans? Overall, from what I witnessed, it was the calmest, coolest unofficial meet and greet I have ever witnessed. After the show, about 30-40 people stood or sat near the stage door of the Rave in Milwaukee waiting to catch a glimpse of Brandon, to get a precious autograph or a coveted photograph. Everyone seemed really calm and chill. Finally, after about a half hour, there was movement by the stage door and by the tour bus. Everyone, who had been waiting, got up and moved towards the bus. No one rushed to the area. No one ran or screamed. Brandon opted to stand in-between the bus and the wall of the walkway up to the venue. While some might question this move, as he seemed to be stuck in a small place, it also meant that the fans waiting for an interaction had to form a line of sorts. He could not easily be surrounded this way. Smart. At that moment, one of the guys with Brandon explained how this was going to work. He said that everyone would get their turn but that as soon as one was finished, s/he should exit behind the bus to keep the line moving. Directions like this always help, in my opinion. Fans then know what will happen and also knew that everyone was going to get a chance. There was NO need to push, shove or get in the front. It was not like when a celebrity shows up and only does two or three autographs or two or three pictures. When the “meet and greet” is so limited, then fans will fight for their chance, their opportunity. It creates more of a frenzied atmosphere. Competition grows between the fans standing there to such a high level that bad, mean, selfish behavior shows up. Anyway, I was so glad that we all knew the score while we waited for our turn. In fairness, another thing that helped is that the fans who had waited were so calm. Brandon and his people knew that they could get the directions out and would be heard and followed. Thus, the fans were well-behaved and the directions were clear ensuring that the good behavior would remain the entire time. I believe that both fans and artist should be applauded for this! How was my interaction with Brandon? Fabulous! The guy in front of me took a long time. He tried to talk to Brandon first for a few minutes before asking for an autograph. Then, it was clear that Brandon thought he was done after the autograph as he started to look at me. Then, the guy passed his phone to me asking if I would take a picture for him. I did but I also commented that Brandon was demonstrating the patience of a saint. (For the record, in those kind of situations, I will never ask for a photo AND an autograph. I would only ask for one. I want to be respectful of the celebrity’s time and also be respectful of the other fans.) Finally, the guy in front of me moved on and Brandon reached his hand out to shake my hand. Well then! That move was unexpected but not unappreciated as he has a very nice handshake. My friend was ready with my cell phone to take the picture so I tried to quickly get in position for the photo. Brandon put his arm around me and I him in return. The picture turned out pretty well, I think! The entire night from the show to the meet and greet was fabulous! More than that, it did make me a bigger fan of Brandon and his music. Did the concert do what it was supposed to do? I absolutely think so. He has a show in Chicago on September 11th. Now, I really, really want to go!! Anyone want to join me? I’m writing this late on August 9th because tomorrow morning I will be jumping online, hoping to squeeze in a little fun in between the shuttle service I seem to run here at home. When I was eleven, twelve or even thirteen years old, there were many, many days when I would sneak back into the confines of my bedroom – a little 12 ft x 12 ft box that was all mine. I could go in, shut the door, close out the world along with anything that was bothering me, and daydream about anything that really mattered – and for me, that was Duran Duran. I’d put my stereo on as loud as I could get away with, lay back on my bed and stare at the ceiling and aaallllll of those posters on the walls. Never, in all of those hours that I spent in there contemplating the day that Roger Taylor would show up on my doorstep to convince me that I was the girl for him (We ALL have dreams! ), did I once consider that someday I would be writing about the band, in any capacity, much less on a computer of all things. At the time, I don’t think I ever thought about what I’d be or what I would do when I grew up. Childhood seemed like it would last forever, and the days where I would be expected to actually be productive or manage completely on my own seemed like life plans for someone else! Little did I know… Point being, I never really thought I’d write. Writing was something I had to do for school, something that I didn’t necessarily enjoy, and darn it why couldn’t I just take five classes of music or band each day?? So here I am, typing on a laptop at my dining room table amidst the cacophony of my household on a Sunday evening. 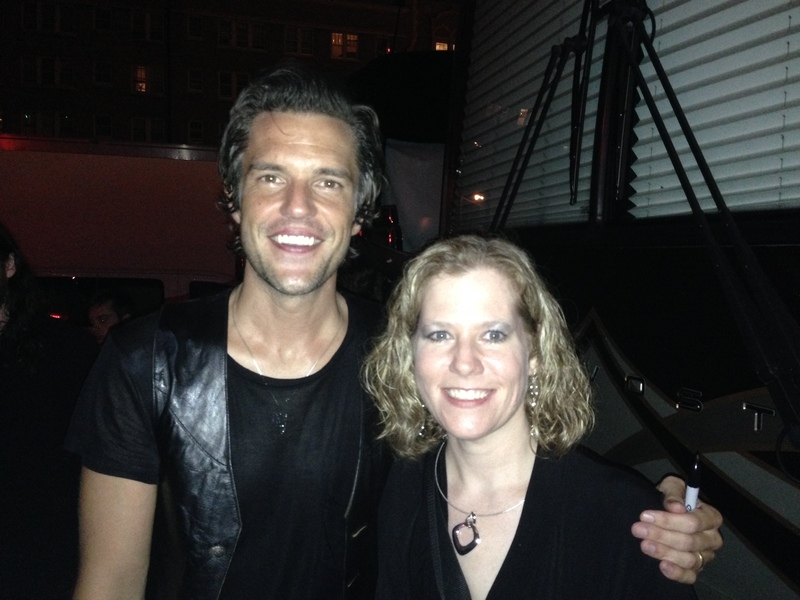 Grinning as I get a private message from my partner-in-crime telling me that she met Brandon Flowers tonight; mourning the fact that I was supposed to be at that show with her (it always works out that way, I swear!) and yet I’m here in California, I acknowledge my crazy life. I chuckle as I think back to last month’s Katy Kafe where John said at some point that real life is complicated. That is no joke. There are times, like right now, that I almost beg for a little simplicity. So how does Duran Duran really fit into all of this? That is really the question, isn’t it? I’ve been a fan since I was ten years old. Early 1981. That means about 34 years now. I struggle with that concept. It’s really been that long? How?? In a lot of ways, it was much easier to be a Duran Duran fan when I was ten. I went to school, came home, had chores to do and homework to finish, but other than that – no expectations. I could listen to music, watch TV and spend hours examining each page of Tiger Beat and Bop!, among many other teen mags. The downside was of course that I wasn’t allowed out of our small town to go to shows or try to get that treasured autograph from a band member. Nowadays, I have three “employers” as well as a husband, none of which are exactly supportive or understanding that Mommy needs to write a blog or do research when dinner needs making or when someone needs to be driven somewhere. On the upside, I do have a car now. So there’s that. These days, I struggle to find balance where there is precious little to be found. I am certain I am not alone. The thing is, we fit Duran Duran in however we can, don’t we? There’s no right or wrong way. Sometimes it’s a struggle, and other times we are lucky enough to get a weekend or longer to revel in our fandom. Those times are precious and not nearly often enough, or long enough. I tend to forget to really appreciate them until I no longer have them, like right now. As much as I struggle with balance, support and encouragement in the outside world that we’ll call “Rhonda’s Real Life”, I appreciate this band. It isn’t just about the music, or the fact that they have the most amazing (and under appreciated) guitar player on the planet, either. Born from the single craziest idea I’ve ever uttered out of my mouth (“We really should write a book, Amanda!”) has come this blog. This insane, full-time BEAST of a blog…and I have learned that I like to write. I need to write. Indirectly, the band led me to the one thing that gives me the most solace and peace in my life. Duran Duran has been there for me from adolescence. They may not really know who I am, and they might not really even care in any sort of personal way, but they’ve been there. I can’t really imagine my life without them in the same way that I really can’t imagine my life without writing, my friends, concerts, Facebook, or even Twitter these days. I appreciate Duran Duran every single day, but there’s something especially sweet about being able to put aside one day of the year to watch a video or two, chat and laugh online, and allow the band to take center stage. I hope everyone has a chance to enjoy Duran Duran today. We’re lucky to have them. Happy Duran Duran Appreciation Day! I’m sitting here writing as I listen to Brandon Flowers’ new album, The Desired Effect. Yes, I realize I’m writing for Daily Duranie, and so this choice in music while writing might seem off. Fair enough. The funny thing is that while listening, I was reading some of the reviews of his work, and that gave me the idea for this post. Before I forget…so far, I really like the album…and if you’re a fan of The Killers, or Brandon himself…or you’re just dying for new music, I think you should check it out. After reading the review, I read the comments. I knew there would be some scathing replies by fans, because let’s be honest, no one likes reading reviews that trash a favorite band or singer. Sure enough, there was more than one comment in favor of Brandon, but most, if not all of the comments were written by people who found the same issues with the review that I had. A few even agreed that she was entitled to her opinions, but that they wished she’d back up the grade she gave the album with reasons – and I had to agree, she certainly didn’t give any reasons for the grade. Instead, she wrote about Brandon’s tendency to have diarrhea of the mouth (her words, not mine) and the fact that he’s Mormon, which seemed out of place to me in an album review. I was genuinely surprised by the lack of venom, and there wasn’t a single calling for this woman’s head, which was refreshing. She didn’t feel the need to come back and answer the comments, nor did she run to call the fans and others who found fault “crazy”. As I typed out a well-worded comment that I am sure will never be read by the reviewer, it struck me that very soon, I’ll probably be getting just as disgusted by reviews of Duran Duran’s new album. I can remember many times in recent memory where a show or even an album was reviewed less-than-favorably, and the Duranies came out in droves in defense of the band. We fans are a loyal lot. We might really get down on the band for Durantime, and we might really be vocal about some of the things we don’t like from time to time (and I’m “speaking” collectively, not just about Daily Duranie! ), but when push comes to shove – nobody had better screw with our band. (See that ownership?!?) The trouble is, Duran fans have been characterized as having a bit of a mob-mentality over the years. It’s not enough to simply disagree with someone’s opinion, we tend to want to tear them limb from limb for daring to cross Duran Duran. Instead of making our point(s) concise and clear, and sounding like intelligent people, sometimes Duranies come off sounding exactly as the world likes to characterize us, as “psycho fans”. Yes, we’re loyal…to a fault, really. With that loyalty and “ownership” comes great responsibility. We must work to show the world that not only are we fans of the band, we’re also intelligent and understand music. We must illustrate that we not only know what we love(d) about the 80’s (Like it or not, reviewers and critics will ALWAYS be quick to remind us that the band were has-been pinups of the 80s, because that’s how they discount them), but we know what we like about current music…and before someone tells me there’s “nothing” If we really want to support the band and respond appropriately to critics, we have to get past the “I love you’s”, not be completely stuck in the 80’s, and explain what it really is about their music that makes it worthy and relevant. Hopefully in a few short months, we’ll all hear the new album and know how to put the answers to those questions in words. In other words, we might have to leave some of our more gushy fandom at the door. We can’t seek “blood”…. we must seek to first understand, and then educate. This band has been around for nearly 37 years at this point. Many of us have been fans for nearly all of that time, we aren’t wrong about our excitement and passion for this band. Their longevity proves that over and over again, before any of us even bothers to wield our fingers over our keyboards as possible weaponry. Can’t Deny My Love for this type of promo! Can I write a blog in 15 minutes? Probably not…but I’m going to try. I just wanted to gush a teensy bit over Brandon Flowers. You see, in my perfect little world – this is how any and every band would properly tease their audience into buying a new album. I’m probably not going to get this timeline correct, but I would guess it was around early Fall that I had heard that Brandon Flowers (lead singer of the The Killers if you’re unfamiliar) was going to cut another solo album. Truthfully it could have been earlier than that, but for the sake of argument, we’re going with Fall (Or what the rest of the world may call Autumn. Sorry, the California in me comes out with a vengeance every once in a while).. It was fairly quiet for a while, but then about February or so (Again, I’m probably way off but that’s not the point), he posted a link to a video from his Twitter account (Which I am almost positive he does NOT run himself) to his website, where there was a little note posted. The note, written in Brandon’s scrawl, gave a short, almost poetic description of the writing process, and even gave the name of the album: The Desired Effect. Not long after that, I think he posted a video of someone, probably himself but I’m not sure, playing a line of music on a keyboard. Maybe a week or so later came the teases for his first single, “Can’t Deny My Love”. I will not lie, I am obsessed with that song. It has a GREAT hook that I can’t and won’t get out of my head. He had video, he had little clips of music…and most of all, he had my attention. Again, I cannot tell a lie, I do not listen to the radio very often. I don’t pour over every possible piece of music news that is available. I have Google alerts set up for the few bands/artists that I’m interested in, and while The Killers is included in that extremely short list, I am not at all sure I would have caught that Brandon was coming out with a solo album had I not been following him on Twitter. Brandon doesn’t even REALLY try to communicate with fans on Twitter, it’s really about delivering his news to the people and that’s about it. But I follow the account like I do other bands I’m interested in. However, once he started posting these teasers, I couldn’t stop myself from reading anything and everything I could about his new album. Then he started posting upcoming gig information, including a few right here in LA! Everything was tied to getting a pre-ordered copy of The Desired Effect, and while I’d already done that… the dates didn’t work for me (naturally, because I’m a parent of three…), but even so, I was completely enthralled watching OTHER fans get their tickets to these super intimate, very short notice gigs. It was really, really cool! So here we are, with just a couple weeks to go before his new album comes out, and I dare say that there are a ton of people out that have already preordered the album and KNOW about the project that may not have otherwise had it not been for Brandon Flowers teasing everyone endlessly with his new music. I already know the name of the album, which I am more than happy to talk about on Twitter and even on this blog, and I’m even buying a ticket to go see one of his upcoming shows. (or more if it turns out I’m not otherwise busy…) I can’t even say I’m one of the bigger Killer’s fans out there, nor can I say that about Brandon Flowers himself. I’m one of those that might not have otherwise bought the album…one of those “likes” that was just moved into the “sales” column SOLELY because of social media. Brandon Flowers isn’t the only artist that is using social media in a particularly effective way these days. Spandau Ballet, another favorite of mine, announced some contests for meet and greets at their shows this summer. I have tickets to their show at the Pacific Amphitheater in Costa Mesa, and so I figured I might as well enter my name. Who knows, right? Well, not only can you enter your name, but you can earn more “points” (entries) by watching videos, playing music, sharing videos, pictures, etc. Granted, it takes effort to do those things, but that doesn’t seem to be stopping anyone from trying. My timeline is filled with people sharing their videos and things in order to earn more points and up the ante so that they have better shots at those meet and greets. Social media does work. Ultimately, my point is simply that teasers generate interest. Social media and sharing works. These artists are about to prove that in spades…and in my perfect world, these are two examples of the perfect way to get the public interested and keep them interested!